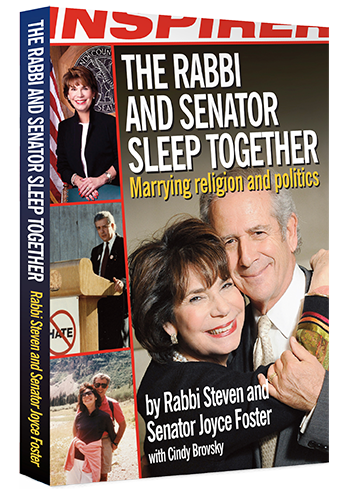 For more than 45 years, Rabbi Steven and Senator Joyce Foster have been leaders in Denver and Colorado, nationally and internationally, through their work on issues of civil rights, gay rights, mental illness awareness, and stricter gun control laws. They have traveled to Israel more than 30 times, helping emigrants resettle there and raising money for the Jewish Federations of North America. Through topics as diverse as interfaith marriage, legalized marijuana, handling the backlash when speaking out on controversial issues, and maintaining a strong marriage and family in the public spotlight, their story chronicles how religion and politics can successfully marry for the greater good.